Any variety of ivy, or hedera, can be counted on for easy care and fast growth in either shaded or sunny spots in the garden. Growing on the ground, on walls and fences, on trellises and cascading over containers, ivy is one of the most widely planted plants in the country. Ivy is an evergreen vine with large or small leaves that range from shiny dark green leaves to variegated leaves edged in yellow or white. 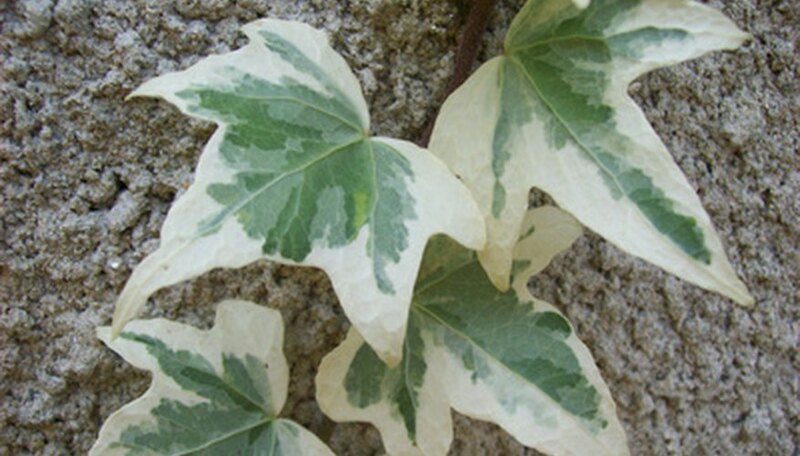 Algerian ivy, with shiny leaves and either variegated or unvariegated leaves, requires more watering and has leaves somewhat more widely spaced than other varieties. English ivy, with its dark green leaves is the most widely planted of all varieties. It is not as vigorous as Algerian ivy, so is good for small areas in the garden. The hardiest ivy, Baltica, has whitish veins and turns purplish in winter. Baltica has the smaller leaves and miniature forms that are often seen in hanging containers and pots. 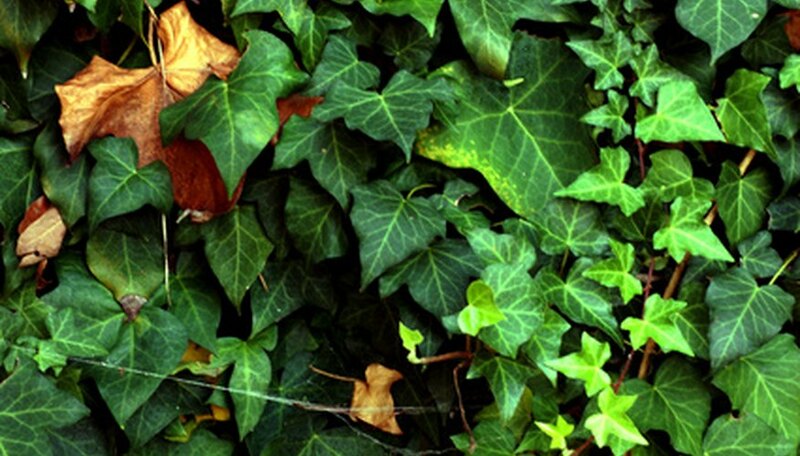 Ivy can be easily grown as a ground cover providing excellent erosion control, as a climbing vine or as a trailing vine. Its roots grow deep and the vines put down roots as they grow on the ground, allowing it to spread easily. Because it provides a dense ground cover, ivy provides an ideal spot for slugs and snails. You can apply slug and snail bait frequently to control for these pests. New plants need plenty of moisture and a rich soil with peat moss or bark to become established. Ivy does best with fertilizing twice a year, in early spring and again in early fall. In hot climates, ivy will need watering throughout the growing season. 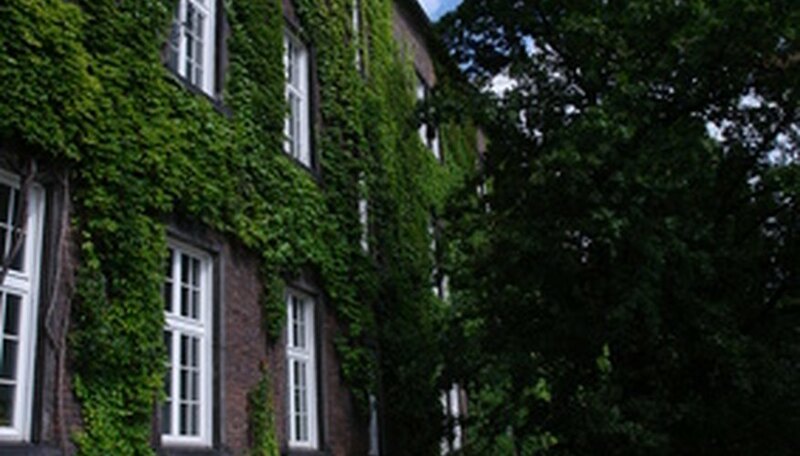 Most ivy will need pruning two or three times a year to prevent rampant growth. You can trim ivy ground covers that become too tall by cutting back with hedge shears or electric clippers. Because ivy has such vigorous growing habits, some gardeners and community officials see it as a noxious invader. Ivy has the potential to smother other plants and can damage trees as it grows up around the trunks. Regular maintenance is a necessity. Pruned vines need to dry out thoroughly or be cut into mulch-size bits before placing in a compost pile or piling in the garden because they will otherwise take root. You can easily bring ivy inside the house as well as enjoying it outside. In addition to simply using ivy in cut bouquets, you can weave the vines around each other to make rings and crowns. 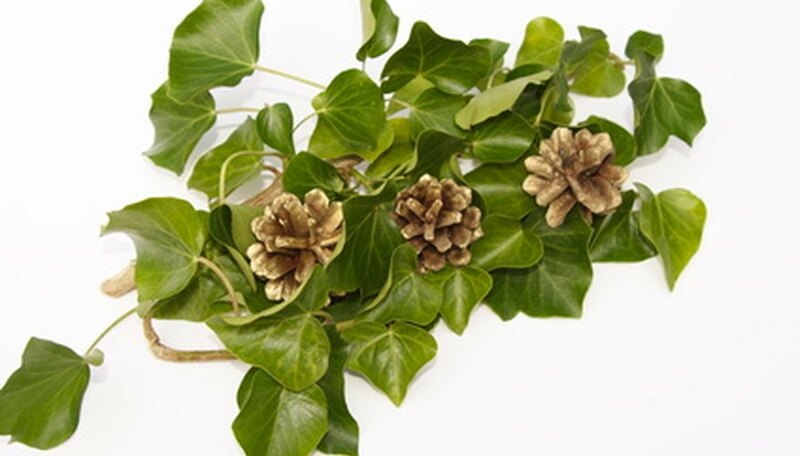 Wrapping ivy around straw or wire rings creates a great base for wreaths. And simply laying ivy vines in the center of a table makes a unique centerpiece. For all these uses, crush the bottoms of the stems and let them get plenty of moisture for an hour to allow them to last longer.